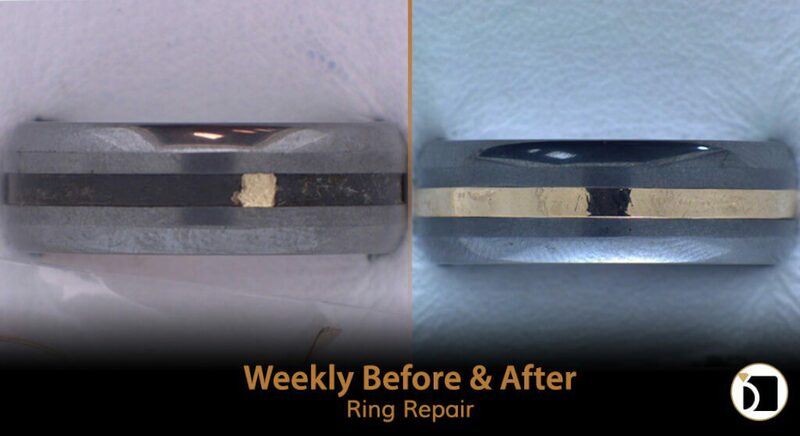 On this edition of the Weekly Before & After, we have a Tungsten and 14k Gold Ring that had the gold accent band fall off. Tungsten can be a tricky metal to work with for most Jewelers, but MyJewelryRepair.com employs Master Jewelers that can go above and beyond for any ring repair. For this ring we had to reattach the 14k gold band by adding additional gold to the ring. We then performed our signature clean and polish to finish the process and made this ring look like new.